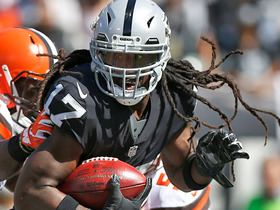 Harris re-signed with the Raiders on Monday, Dan Graziano of ESPN.com reports. Analysis: Harris suited up in 15 games for the Raiders last season, catching all six of his targets for 40 yards. His value is more prominent on special teams, as he racked up 663 kick return yards and 281 punt return yards to go along with a punt-return touchdown. Expect the 31-year-old to keep his spot as the primary return man for the Raiders in 2019. Harris caught six passes for 40 yards and had one punt return touchdown in 15 games this season. Analysis: Harris served as the Raiders' top kick and punt returner after signing a one-year deal last April, averaging 22.9 yards per kick return and 14.1 yards per punt return. The 31-year-old typically played only a handful of offensive snaps each game and will likely end up with a similar role elsewhere as he enters 2019 as a free agent. Harris peeled off a miraculous 99-yard punt return touchdown during Monday's 27-14 win against the Broncos. Harris (foot) won't carry an injury designation into Sunday's game versus the Bengals, Paul Gutierrez of ESPN.com reports. Analysis: Harris still has four healthy receivers ahead of him in the depth chart, so his fantasy value remains negligible with just six catches over 12 games. The eighth-year pro's main value comes from returning both punts and kicks. Harris was a limited participant at Wednesday's practice with a foot injury. Analysis: The extent of the foot issue is not believed to be all that serious given Harris' ability to practice, even in a limited fashion. The Raiders' primary return man figures to be ready for Sunday's tilt with Cincinnati barring any unforeseen developments. Harris (chest/foot) was a full participant at Wednesday's practices. Analysis: Harris sustained the injuries in Sunday's game against the Cardinals, but his quick return to practice confirms them as minor issues. Brandon LaFell (Achilles) was placed on injured reserve, while Martavis Bryant (knee) and Jordy Nelson continue to battle knee injuries, leaving Seth Roberts, Marcell Ateman and Harris as the Raiders' top healthy wide receivers. With that said, the 31-year-old has been minimally involved offensively this season, and stepping into a significant role seems unlikely. Harris (chest) sustained an injury on a punt return in Sunday's game against the Cardinals, Paul Gutierrez of ESPN.com reports. Harris (chest) has returned to Sunday's game against the Cardinals, Matt Schneidman of The San Jose Mercury News reports. Analysis: Harris exited Sunday's tilt against the Cardinals in the first quarter due to a chest injury but has managed to return to the field. The 31-year-old will retake his role as Oakland's top return man. Harris is questionable to return to Sunday's game against the Cardinals due to a chest injury, Michael Gehlken of the Las Vegas Review-Journal reports. Analysis: Harris exited Sunday's tilt during the first quarter. The severity of the veteran wideout's injury remains undisclosed, but as long as Harris remains sidelined expect Nick Nelson to serve as the Raiders' top return man. 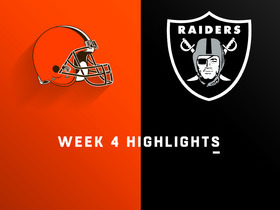 Harris caught his lone target for no gain in Sunday's 20-6 loss to the Chargers. Analysis: Harris has not caught multiple passes in a contest since Week 3, but could be in line for additional targets with Martavis Bryant (knee) expecting an extended absence. Additionally testing the Raiders' depth at receiver, Jordy Nelson is tending to a knee injury as well and could miss Sunday's tilt against the Cardinals as a result. This would leave Brandon LaFell, Seth Roberts and rookie Marcell Ateman as the only healthy options at receiver next to Harris. Harris caught his lone target for seven yards and also fumbled out of bounds in Sunday's 27-3 loss to the Seahawks. Analysis: Harris nearly made matters even worse for the Raiders in London with a fumble that luckily rolled out of bounds, but the return man could see more involvement as a receiver moving forward if Amari Cooper and Seth Roberts miss additional time with their concussions. Oakland has an upcoming bye week before hosting the Colts, so Cooper and Roberts are fortunate enough to have more recovery time as they look to clear the league's concussion protocol. 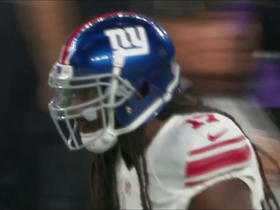 Harris caught both of his targets for 11 yards and added 50 total return yards in Sunday's 28-20 loss to the Dolphins. Analysis: Harris was targeted on each of his two offensive snaps in Week 3, having been dealt a slightly more significant role with No. 4 receiver Seth Roberts sidelined as a healthy scratch. Harris continues to serve as the team's primary return man, while fellow reserve Brandon LaFell amassed more offensive snaps than Harris behind Amari Cooper, Jordy Nelson and Martavis Bryant. Harris (foot) returned to full practice Wednesday, Michael Gehlken of the Las Vegas Review-Journal reports. 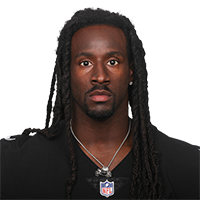 Analysis: Per the report, Harris, who injured his foot during the Raiders' season opener, is expected to play Sunday against the Dolphins after being inactive in Week 2. He'll offer the team a depth option at wideout, but Harris' greatest impact will likely come in the return game. Harris (foot) is inactive for Sunday's Week 2 tilt against the Broncos. Analysis: Harris was a limited participant in practice throughout the week and eventually failed to make enough progress to suit up. With backup kick and punt returner Nick Nelson also inactive, the Raiders will presumably be scrambling at both spots. Harris (foot) is questionable for Sunday's game against the Broncos, Matt Schneidman of The San Jose Mercury News reports. Analysis: Harris would slot in as Oakland's top kick returner if he's able to suit up Sunday, but he's unlikely to see significant snaps as a receiver. If Harris is sidelined, expect cornerback Nick Nelson to step in as the Raiders' kick and punt returner. Harris (foot) was a limited participant in Wednesday's practice session, Matt Schneidman of The San Jose Mercury News reports. 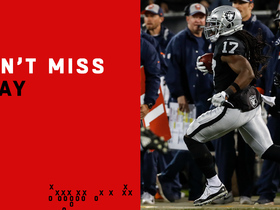 Analysis: Harris serves as the Raiders' top returner, rushing once for 10 yards in Week 1 against the Rams on Monday. More information on his status for Week 2 should surface as the week progresses. Harris appears to be locked in for top kick and punt return duties, Matt Schneidman of The San Jose Mercury News reports. Analysis: Griff Whalen's toe injury, which is expected to keep him out of the season opener, aided Harris' campaign for returner duties. Harris' track record as a dynamic returner is proven through seven seasons with the Cowboys and Giants, but he'll provide little as a fantasy wideout. Harris (undisclosed) is participating in practice Monday, Michael Gehlken of the Las Vegas Review-Journal reports. Analysis: Harris was sidelined during the Raiders' preseason opener Friday due to an undisclosed injury, but he's back on the practice field Monday. He'll continue to compete for a spot on the 53-man roster as a return specialist, so don't expect the eighth-year veteran to provide much fantasy value as a receiver. Harris did not play in Friday's preseason opener against the Lions due to an undisclosed injury, NBC Sports Bay Area reports. Analysis: Harris -- who spent the first seven years of his career in the NFC East as a return specialist -- may be in line for a similar role for the Raiders should he secure a 53-man roster spot. He's hit a small snag with an injury of some kind, though the team has yet to detail the reason behind his absence. Harris signed a contract with the Raiders on Monday, Adam Schefter of ESPN reports. Analysis: Harris finally works his way out of the NFC East after spending the first seven years of his career with the Cowboys and Giants. It's unlikely the 30-year-old suddenly becomes an offensive weapon after spending the past two seasons as a return specialist on both punts and kickoffs, but that's not to say there won't be an opportunity for him to carve out some sort of role as a pass catcher given the Raiders' questionable depth behind Amari Cooper and Jordy Nelson. Prior to his release Thursday, Harris (foot) passed a physical with the Giants, Jordan Raanan of ESPN.com reports. Analysis: Harris had cap hits of a $4.05 million each of the next two seasons, so the Giants opted to cut ties with a player who was little more than a special-team option in 2016 and 2017. He also didn't play beyond Week 5 last year due to a fractured foot, but his health won't be an issue as he searches for another home, per Raanan. Wherever he lands, Harris' role likely won't extend beyond what he performed for the Giants of late. The Giants have released Harris (foot). Analysis: Harris' 2017 season ended early after he suffered a fractured foot on Oct. 8 that required surgery and landed him on injured reserve. Harris made the Pro Bowl as a special-teamer in 2016, largely due to his coverage skills, per NJ.com, so the 30-year-old figures to get a look elsewhere as a depth wideout/returner. NFL Network's Kimberly Jones discusses how the New York Giants are preparing for a postseason run and a wild card matchup with the Green Bay Packers. 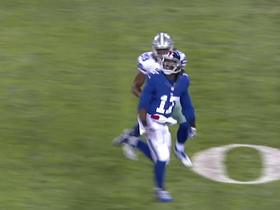 New York Giants quarterback Eli Manning hits wide receiver Dwayne Harris for a 13-yard touchdown. 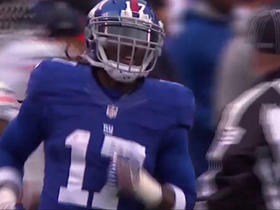 New York Giants wide receiver Dwayne Harris returns kick for 46 yards. 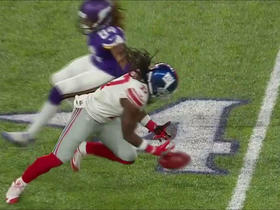 New York Giants wide receiver Dwayne Harris muffs a punt, the Minnesota Vikings recover. 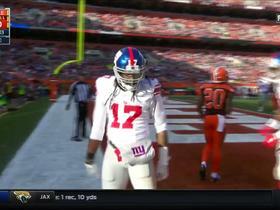 New York Giants wide receiver Dwayne Harris returns the opening kickoff 44 yards. 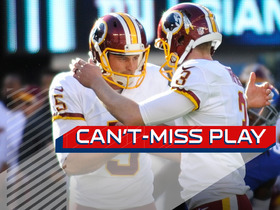 Washington Redskins punter Tress Way fakes the punt and finds cornerback Quinton Dunbar for 31 yards and the first down. 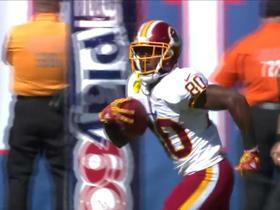 Washington Redskins wide receiver Jamison Crowder returns a punt for 52 yards.